part of the 1800’s, were married in Rhode Island in 1920. They grew up without electricity, indoor plumbing, radio, telephones, processed foods, and even airplanes! 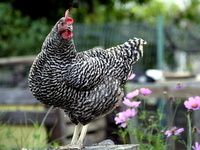 In those days nearly every household had a garden and most likely a few chickens. Both Mémère and Pépère were born in New England of hard-working French Canadian immigrants. I was blessed to be able to live in their home until I left to start my own family. I can still remember tagging along behind Pépère where-ever he went, as long as he didn’t leave the yard. When he spent an afternoon watching the Red Sox on television I would climb up beside him on the big red recliner and he would explain what was happening, and teach me to read by reading the big signs around the playing field. Because of him I was able to read by the time I started school. Pépère’s life before he married Mémère is somewhat unknown since he wasn’t one to speak of himself, and the past was past, no need to talk about it. Pépère was born only a few years after the famous Gunfight at the OK Coral and wagon trains still traveled west. He worked hard as a “mule skinner”, I am still not sure I want to know exactly what his job entailed. He had a garden where he grew the food that Mémère would “can” to feed her family through the year. Mémère always had flowers growing in a little flower garden and around the foundation of the house. Her deep purple Iris’s are still among my favorite flowers. I remember looking “eye to eye” with the bearded flowers and loving the feeling the softness of their petals. the week and the daily chore for each day? Monday = Wash day, Tuesday = Ironing Wednesday = Mending/Sewing, etc. This was Mémère’s housework schedule. On Monday out came the old wringer washer and laundry tubs. It took most of the day to wash and dry the laundry out on the clotheslines. When everything was dry down it came, got sprinkled with water and rolled up to wait for ironing day. She was amazing! Even while raising six children, she never lagged behind in her house work, her home was always spotless, and the meals were always on the table at the same time each day, no matter what came up. She baked her bread and pastries, and made her own noodles. Everything she cooked was made from scratch. In her free time, she made quilts, crochet afghans, knitted sweaters, hats and mittens, and even made large wood cut-outs for the yard to amuse the children. To do these she would enlarge outlines from our coloring books to an average of 36″ tall using grids. Next the outlines were transferred to thin plywood and cut-out with uncle Al’s scroll saw. After they were all cut and painted Donald Duck, Bambi, etc occupied the backyard where the children played. Mémère was also a teacher to her children and grandchildren. She patiently taught me to do all sorts of needlework and sewing; as well as cooking all the while she would tell me stories of her life, her parents and grandparents and the old days. One day as she and her sisters and mother were in their kitchen pulling taffy word came announcing the tragic sinking of the Titanic in 1912, Mémère was 14 years of age and living in Fall River, Massachusetts not far from the Lizzie Borden home. I often think about all the major changes that occurred during her life-time, she was born in 1897. The first gasoline powered car US manufacturer was incorporated. The Boston Marathon had it’s first race. She read the news about the Wright brothers flight and the discovery of Aspirin. If you think the news is full of war, it’s nothing new. She read the latest news about the Second Boer War, US/Spanish War, the Philipine-American, War WWI and WWII, the Korean Conflict and Viet Nam, and her last war news was of the invasion of Bagdad. I doubt she would be surprised to know the world is still at war. 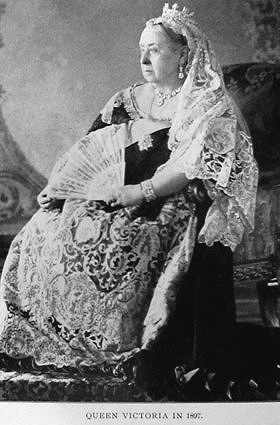 England’s Queen Victoria celebrated her Diamond Jubilee, and Teddy Roosevelt was still alive when she married my grandfather, and she raised a family of six children through the Great Depression. The experienced the thrill of the Wright brothers first flight as well as all our flights to the moon. The complete time-line of her life is amazing, and it made think to do my own time-line of events. If you should do your own you may be surprised to learn what has transpired in the world during just the brief period in which you have been a part of it. What a wonderful post, Kath. It has give me a few ideas to post on my blog of my own childhood memories. What a great post. Time moves in a blink yet look at what happens in a lifetime .